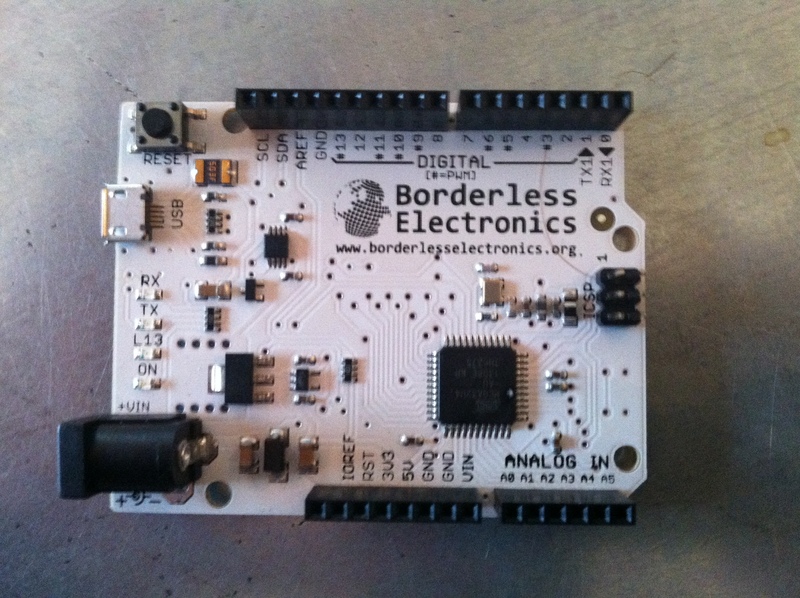 Arduino Leonardo – NERDS RULE! So I find it stupid that Arduino tutorials would jump straight away into complicated code (called sketches in Arduino), electrical diagrams, and acronyms of complex electrical terms. 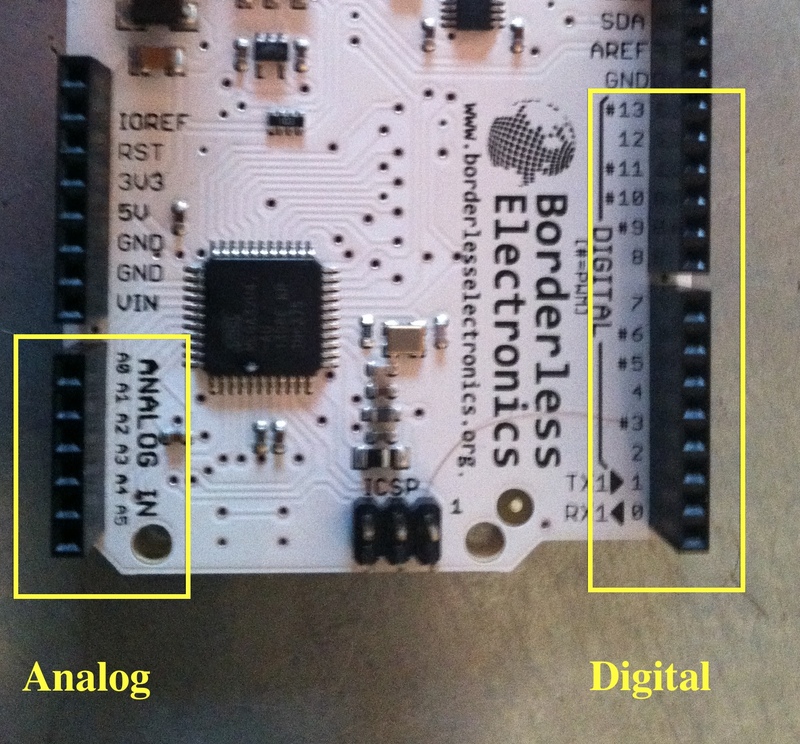 Arduinos are an awesome, cheap, and easy way of learning robotics. They’re so simple and should really be explained that way (at least initially), so in this blog post I will set out to do just that. 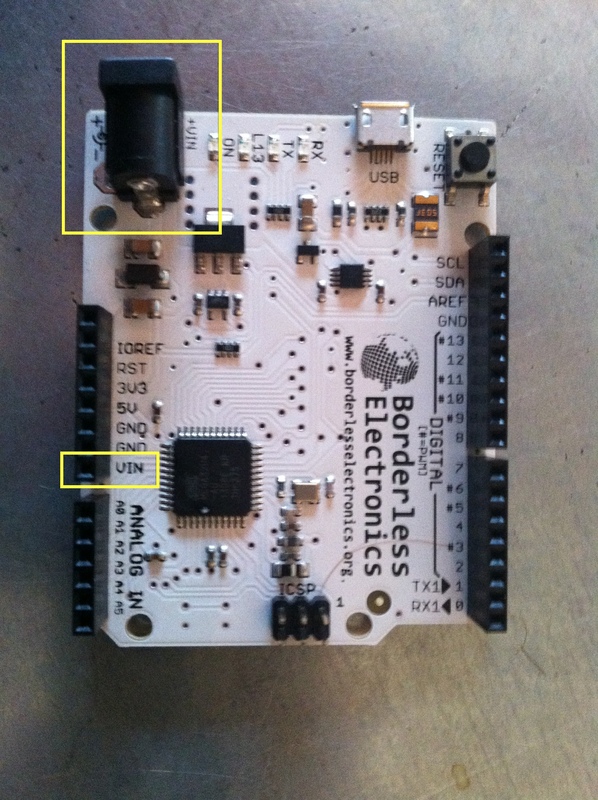 While it has some advanced things that differentiate the Leonardo from other Arduino micro controllers, the big difference is that by having only a single processor they can emulate a mouse and/or keyboard. In lay terms, you can make a keyboard/mouse that amputees/spinal injuries control without their hands, or a glove that can control a quadracopter. Pretty awesome, huh? The difference between the two is actually so simple and is usually overcomplicated with voltage diagrams. An Analog input is like a dimmer switch where you can control the how much light you want from a light bulb, and a Digital input is just a regular switch where output either on or off with no in between. 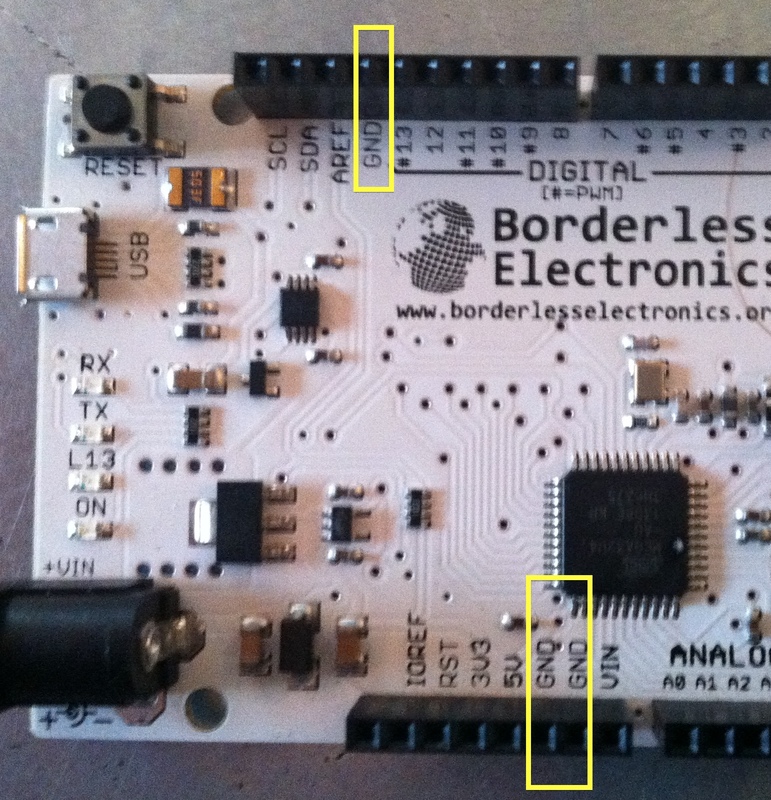 The AREF pin, or Analog REFerence pin, is the what sets the maximum power (from the left side of the pic above) and every step from zero to max (scaled in sketches 0-1024). The power is 3.3 volts or 5 volts but these can be change/converted through the use of different techniques (think resistors). These pins are used for communicating with other devices. For example, connecting to a lego mindstorm (example build). 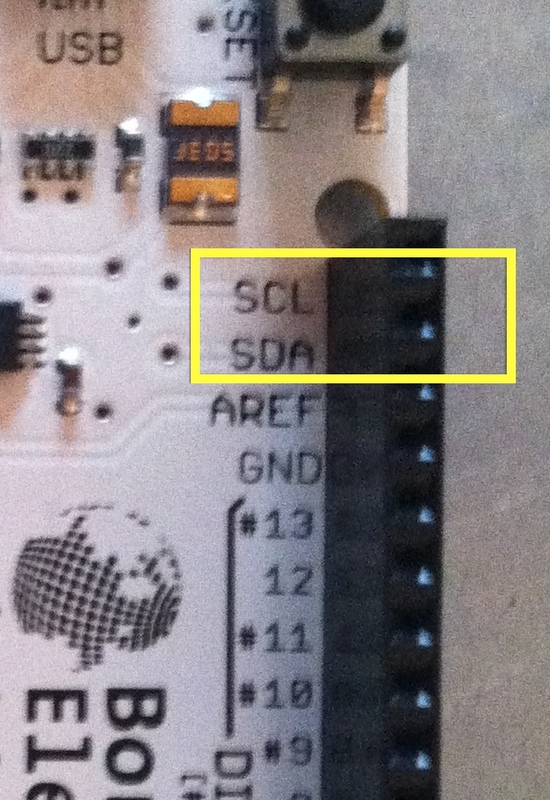 The SDA pin sends and receives the data between the two devices, and the SCL makes sure that data is being sent and received at the same speed. 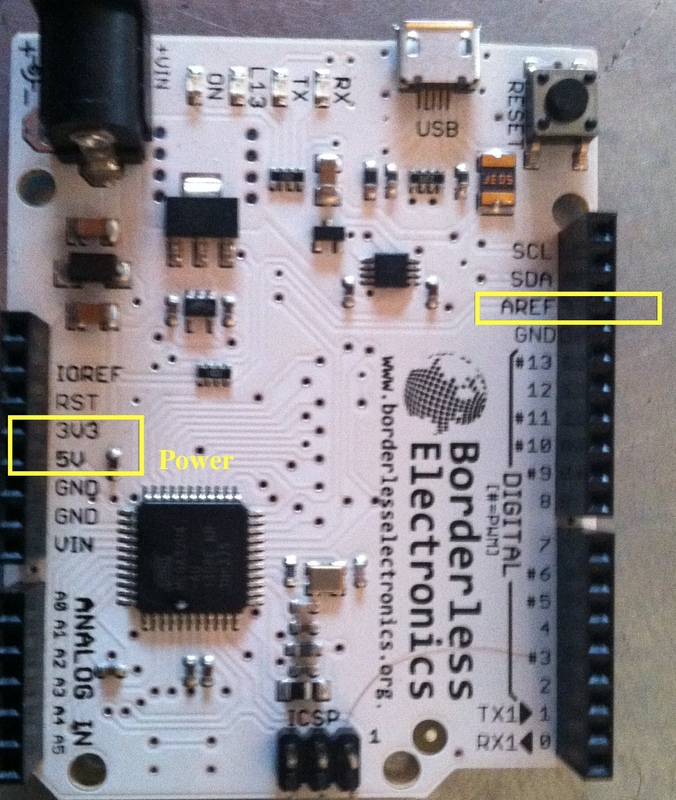 IOREF tells whether the power supplied is 3.3 or the 5 volts, and RST is used to reset the board. GND is for the ground and is needed always used with the power. It’s to complete the circuit. A battery has two poles, positive and negative. Each side of a light bulb needs to be connected to each of the poles on the battery to complete the circuit and light the bulb. Now we know what everything does it’s time to make something cool.